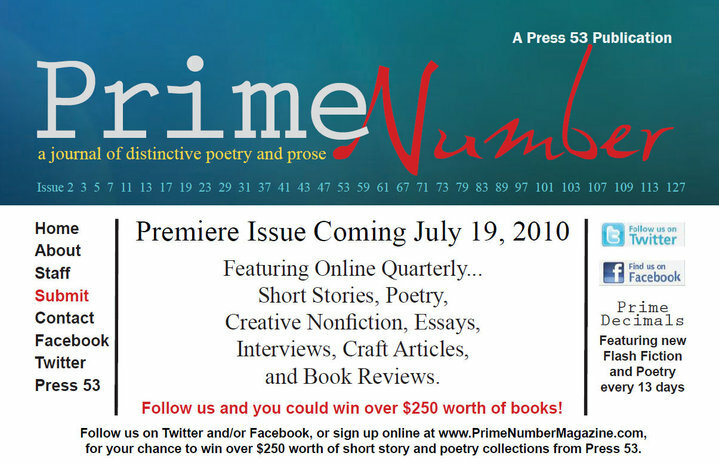 I’m very excited to announce the coming of Prime Number Magazine, the first issue of which will debut on July 19, 2010. 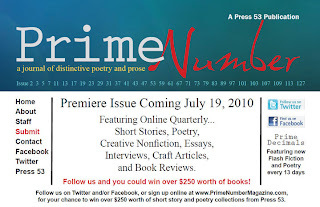 The magazine, which will be an online quarterly with a print annual, will feature distinctive prose and poetry, including short stories, creative non-fiction, poems, reviews, interviews, and more. The magazine is a publication of Press 53. I am the editor. Val Nieman is the poetry editor.